Of all the possible heroes of the Tampa Bay Rays, who ever would have suspected Mike Zunino? He has spent most of his season as an out waiting to happen. He wasn't in the lineup Sunday. And when he walked toward the plate, it wasn't as if the infielders backed up at the sight of him. And then came a two-run single to break open the Rays' 8-4 victory, the fifth straight series they have won this season. Tampa Bay finished a nine-game road trip with seven victories. While you're at it, it should also be noted that Adam Kolarek didn't enter the game with the expectation of stardom. Kolarek had pitched only 4 2/3 innings all season, but he found himself in a fifth-inning jam with the bases loaded and two out with pinch-hitter Teoscar Hernandez at the plate. And Kolarek struck him out to preserve the lead. Those weren't the only two who shined unexpectedly. Guillermo Heredia hit a two-run homer, and Wilmer Font struck out the side (around giving up a two-run homer) in the ninth. There is a lesson there. A team often wins behind the players you'd least expect. It shows how well things are going for the Rays, who are 12-4 on the season. "Toronto’s pitching had done well up to that point and all of yesterday," Rays manager Kevin Cash said. "It was good for us to be able to separate the game right there because it was tight. Zunino broke it open and Heredia did a little more." 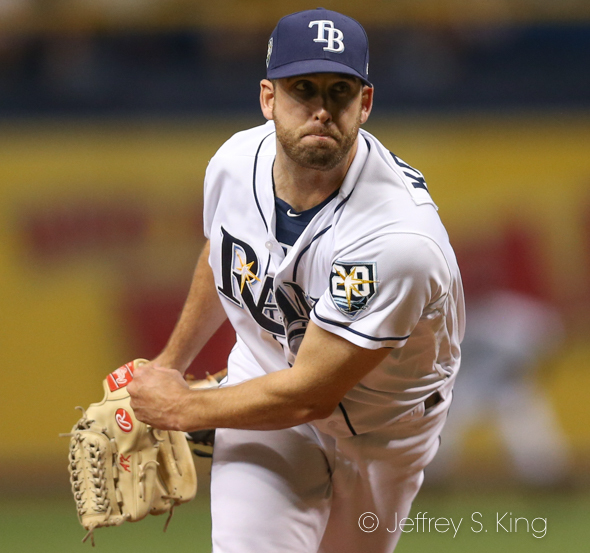 The Rays used seven pitchers in all. Starter Charlie Morton lasted only 4 2/3 innings. The Rays are off today but return home Tuesday night to face Baltimore. Tyler Glasnow pitches for the Rays, but the Orioles have not announced a starter.